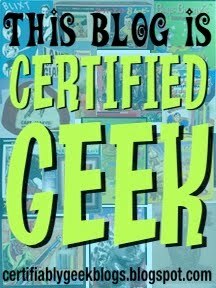 There's a fun new blog out there called Certifiably Geek Blogs, which awards blog with a "Certified Geek" label based on the recommendations of fellow bloggers. 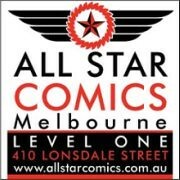 Many thanks to Tom at Freak Studios for passing on the Certified Geek banner to AFB! I promise to wear it with pride! Part of the "rules" of Certified Geek is that I now must pass the banner on to two fellow bloggers. This was a no-brainer for me, as I needed to look no further than to two members of the AFB Forum family! First up is TV and Film Toys, put together by "Engineernerd". I met Eng through Twitter and we at the AFB Forum greatly enjoy his reviews. More to the point, some AFB Forum members seem to live for the great guessing games that TVFT run - great fun, and a more than deserving "Certified Geek" recipient. Second is someone who I consider to the be godfather of toy reviews: Michael Crawford at MWC Toys. Michael's reviews are the best - so well photographed, documented and scored that you can be left in no doubt about the item at the end of the review. Michael's attention to detail and passion for his craft is second to none. Thanks for being an inspiration! Many thanks to Certifiably Geek Blogs, Freak Studios, and everyone out there that makes this such a fun and rewarding thing to do! Congrats on the certified title. Very cool Andy! And two deserving follow up sites as well. Wow, we're all gonna end up having to start blogs to pass on the Certifiable status next.. Congrats on the title, I expect this is one of the best certificate based awards you can receive.